Earlier this year, local promoter Thomas Fox, the guy who helped turn Brite Winter Festival into the mammoth music festival that it’s become, announced plans to launch AGUMBOOT Music Festival, a summer music festival slated to take place on the lakefront. Fox has just announced details for the festival. Because Fox was unable to use a lakefront location, he'll hold the festival on the Dunham Tavern grounds on July 15. The festival lineup includes a dozen groups from Cleveland and across the United States. 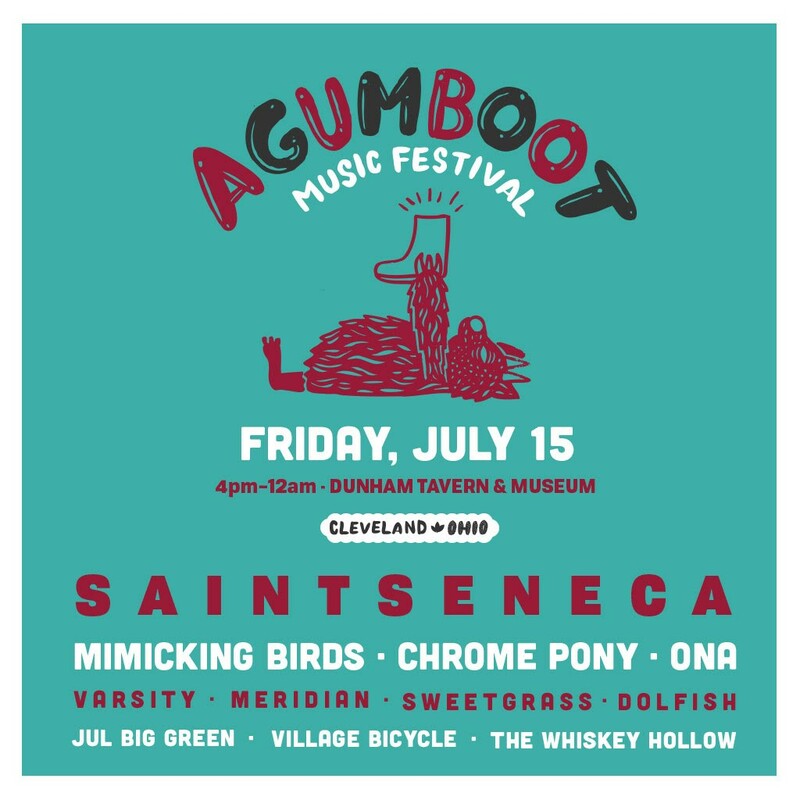 Acts such as Saintseneca (Columbus), Mimicking Birds (Portland, Oregon), Sweetgrass (Cleveland), Chrome Pony (Nashville), ONA (Huntington), Varsity (Chicago), Village Bicycle (Cleveland), Meridian (Cleveland), Whiskey Hollow (Cleveland), Dolfish (Cleveland) and Jul Big Green (Cleveland) will perform on three stages. The festival will run from 4 p.m, to midnight. General admission tickets are available now for $10 at agumboot2016.eventbrite.com or for $15 at the door.